I didn't know that the lantern festival was about to take place before we left Seoul. It was a happy surprise to realize it was taking place the day before our departure and of course we had to go check it out! 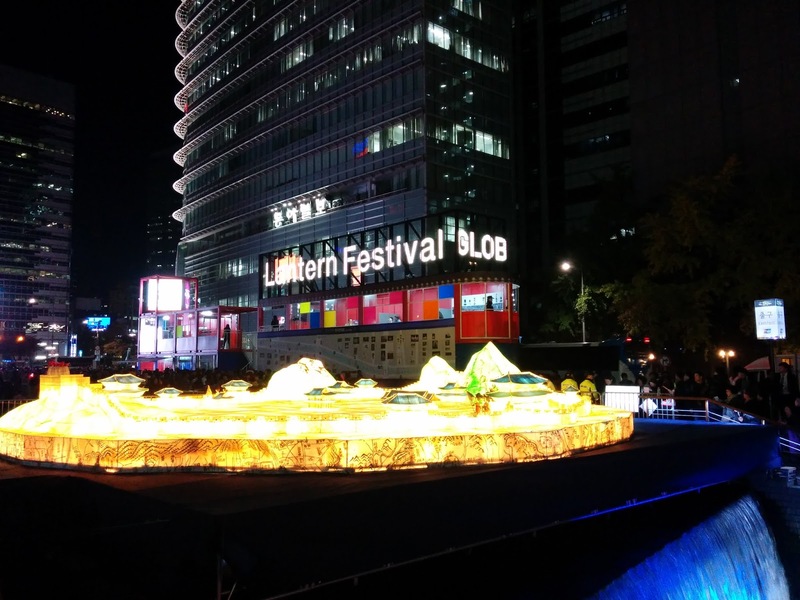 The Seoul Lantern Festival took place at Cheonggyecheon river. We already know where it was so we walked there from our apartment. It was packed with people! It was so nice to finally see all the lantern lit up. I love anything with lights so I went a little crazy! We saw the floats during the day but now it looks even more amazing! Wow! Amazing pictures! Hope you had great fun on this festival!